Based on the premise that we can do more together than individually, CUA helps and educates our members and advocates for consumers to ensure better financial futures for all. Becoming a CUA member gives you the power to make informed consumer and financial decisions while we advocate for policies that will have a positive impact on your finances. As a member, you will have access to financial tools and resources that can improve your budget, your credit and help you to plan for the future. Have you ever wondered who your elected officials at the legislature are? You may be surprised to know that they are people just like you! Watch our informative video about how to interact with them on issues that matter to you. 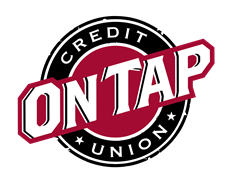 Join CUA as an Individual or join through your Credit Union. Membership is only $5 per year or $25 lifetime. 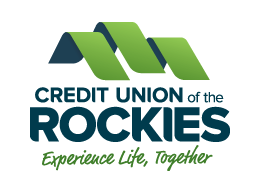 Based on the premise that we can do more together than we can individually, the Consumers United Association (CUA) was originally created by a group of Colorado credit unions to serve as an advocate for consumers and to provide education on issues related to their financial well-being. Consumers United is a nonprofit association made up of people, credit unions, and corporations who are dedicated to educating consumers on financial issues which impact their personal lives. We offer services and resources to aid consumers in the resolution of consumer problems and provide a united voice for consumers in the legislative arena. Members of Consumers United Association enjoy the following benefits. For example, you'll have an opportunity to voice your opinion on current issues which impact consumers’ personal finances. Consumers United Association recognizes that many people are suffering through periods of unemployment or loss of income for other reasons during difficult economic times. Our corporate sponsors help us to provide Colorado consumers with the information and advocacy they need to improve their financial lives. Companies interested in the possibility of becoming a sponsor.